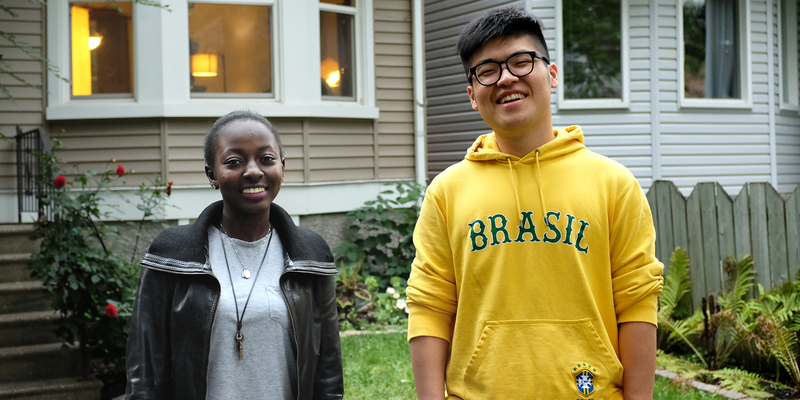 Polar Trails is Winnipeg’s longest serving locally based homestay agency, supporting international students for over 15 years. We offer short and long-term homestay options, and all our host families are carefully screened and matched with students to provide the best supportive learning environment possible. We look forward to welcoming you to Winnipeg! Students are assisted with completing applications regarding the custodianship/guardian approval process. Learn more about our Custodianship Services for students under 18 years of age. Our homestay team consisting of homestay family and coordinator work together at providing the best learning environment possible by monitoring student performance, English only policies, and instructional techniques on an ongoing basis. Our courteous staff greet students upon arrival and make necessary transportation arrangements from the airport, bus & train stations to the selected host family residence. No matter how carefully a student plans their stay in Canada unexpected emergencies can occur. We are available to assist with alternative planning 24/7. Polar Trails places students attending numerous schools: ICM International College of Manitoba, Red River College, University of Manitoba, MITT, Louis Riel School Division, University of Winnipeg, and other institutions. For your convenience, we offer several different payment options. For those paying by international wire bank transfer, please contact us for our bank account information. If you have a local Canadian bank account, you can send your payment via Interac e-Transfer using our email address info@polartrails.com. For those paying in person we accept cash, certified cheque, or credit card using our Square system. For all other cases, please make your payments through PayPal, by clicking the buttons below. * There is a one-time courier fee of $125 for sending custodianship documents for students under 18. Prices are subject to change, confirmation is advised at time of payment. Use the quantity arrows on the PayPal page to pay for multiple months. Students whose study visa application is unsuccessful are entitled to a full refund of their unused Homestay fees, less placement fee and any related bank and courier fees. Students will be required to submit a refund request letter along with scans of the Canadian Immigration Visa Refusal Letter. Alternatively students can defer their Homestay fees for one term in the case of a delay in receiving their study visa or if they intend to re-apply. Polar Trails will also offer refunds to those students having to return home due to medical emergencies. Note: There are no refunds for students who choose to move out from their homestay within the first four months, or are expelled from the homestay program. Polar Trails is proud to offer insurance through guard.me, one of the leading insurance providers for international students. Visit their site at the link below to sign up for insurance for the duration of your homestay term. The following agreement outlines the commitments & expectations of the homestay student. For students applying to the Polar Trails Homestay Program, please read, sign, and return this agreement to the homestay coordinator. 30 days advanced notice is requested for homestay. Placement fee & first four months homestay fees are payable at time of application (placement fee is non-refundable). All homestay fees are payable to Polar Trails Inc. only, not the homestay family or the school. Homestay fees are due one month prior to the monthly anniversary arrival date. One month notice must be given when a student decides to leave their homestay. Homestay students enrolled in classes for four or more months are strongly encouraged to stay in homestay for the first four months. If students choose to leave the homestay program prior to the end of their first four months there will be no refunds granted. Homestay information will be forwarded as soon as placement is determined. Family information is confidential and must not be provided to other parties without the consent of Polar Trails Inc.
Homestay guests must provide proof of medical insurance coverage prior to homestay placement. Students must be enrolled and actively attending full time classes. Students are not permitted to drive, own or operate an automobile while staying in homestay. Students must provide copies of their student visa, passport and LOA (letter of acceptance) prior to arrival or when available. If students decide to travel during their time in homestay there will be no reduction in homestay fees for travel periods less than one month. Custodianship students under 18 years of age are required to remain in the homestay program and are not permitted to live elsewhere until after their 18th birthday. Failure to comply with any of the above may result in removal from the homestay program and students being sent back home. We do not accept student arrivals on December 24 or 25. Polar Trails Inc. is Winnipeg’s longest serving local homestay agency, supporting international students for over 15 years.